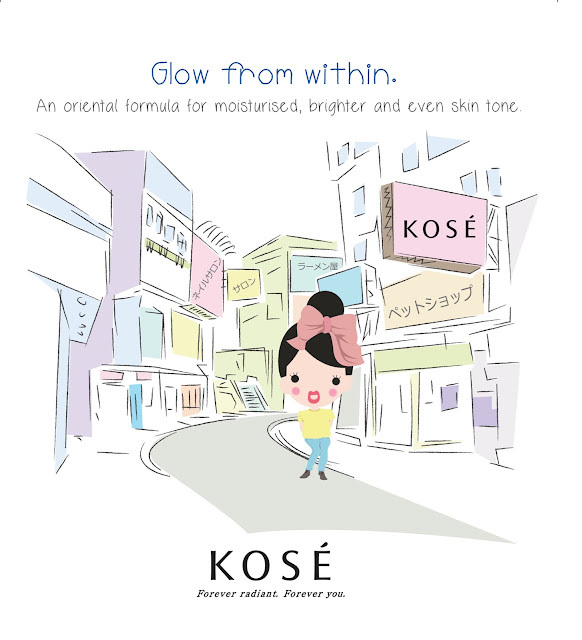 For 30 years, KOSÉ Sekkisei has been restoring translucence to women's skin. Created based on an age-old 'Beautiful translucent skin recipe', Sekkisei's gentle yet effective brightening products are world-famous. Since its launch in 1985, rumours of Sekkisei's effects have spread through word-of-mouth. It's never too early to begin one's journey towards a beautiful complexion. Specially designed for skim translucency, Sekkisei products harness the power of Oriental Herb extracts, which are carefully selected from about 100 different plants, creating a harmonious and skin-loving formula that gives women brighter, even-toned and moisturised skin. 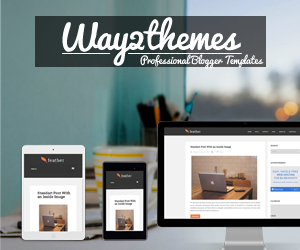 How to use on your basic care? Dispence 1 to 2 pumps onto palm and add water then gently lather until foam forms, massage onto face before washing off thoroughly. 2. Sekkisei Lotion - a refreshing lotion that enhance skin translucency & clarity. Pour lotion generously onto a cotton pad and pat gently on face. 3. Sekkisei Emulsion - a brightening emulsion to retain moisture for a supple & soft skin. Dispence 2 pumps on cotton pad and spread evenly over skin. 4. 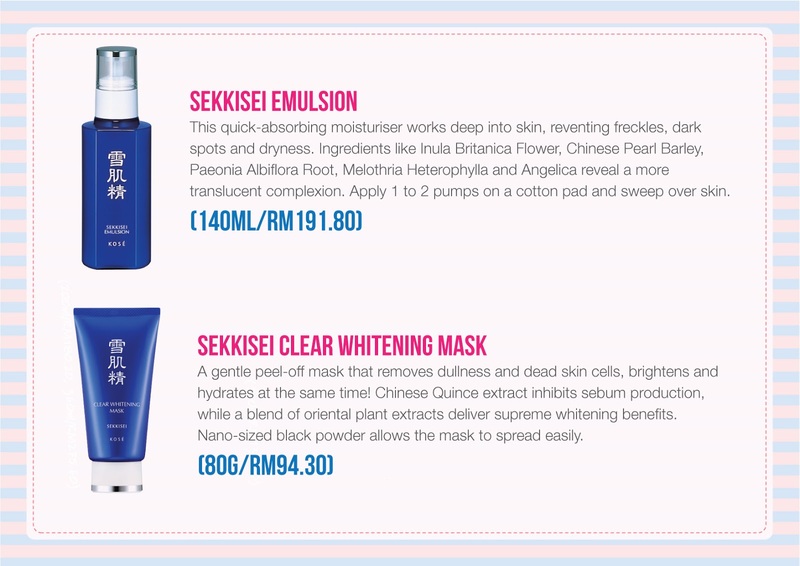 Sekkisei Clear Whitening Mask - peel-off mask that removes blackheads, dead skin cells and tighten visible pores. Spread it across your face (avoid eyes, eyebrows, hairline & lips area). Peel it off once it dry from inwards from the outer areas of your face. Last but not least, there is some beauty secret tips for your special care on skin. 5. Bihadagoyomi Mask - a quick lotion mask which offers 10x higher moisture that instantly brightens and rejuvenates skin. 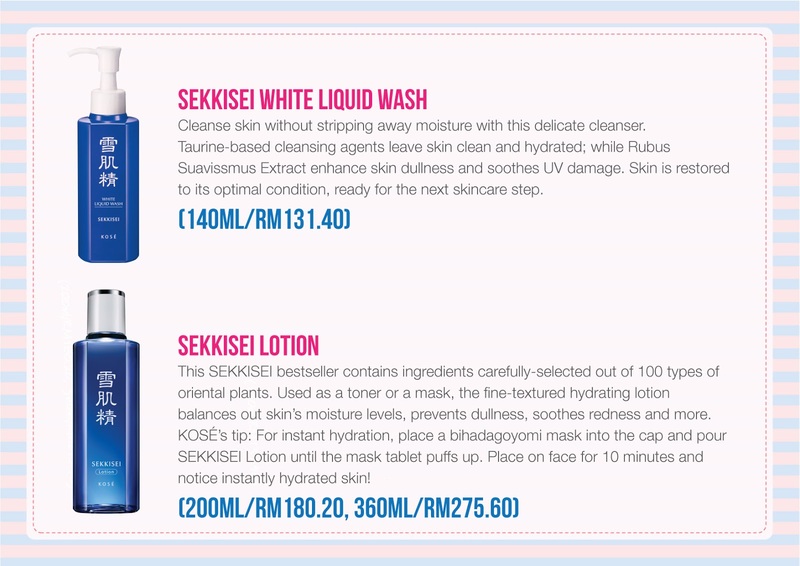 Fully soak the lotion mask with Sekkisei Lotion, place onto clean face for 5 to 10 mins. No rising is needed. Please check out my first self-videoing. LOL!!! 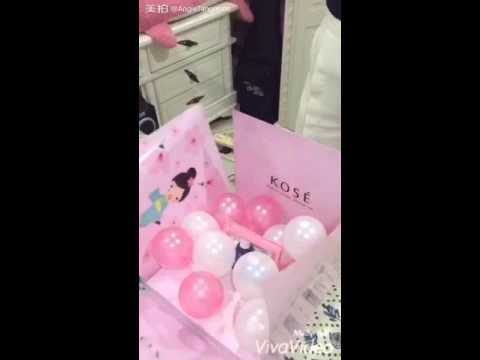 It was an excellent experience with KOSÉ. 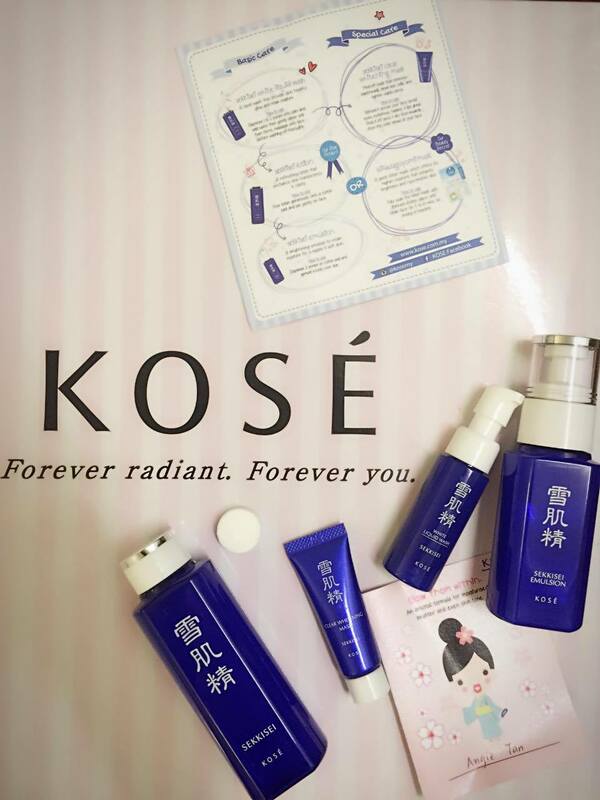 If you are still struggling to find a perfect brand that suit you, I strongly recommend you to try KOSÉ. 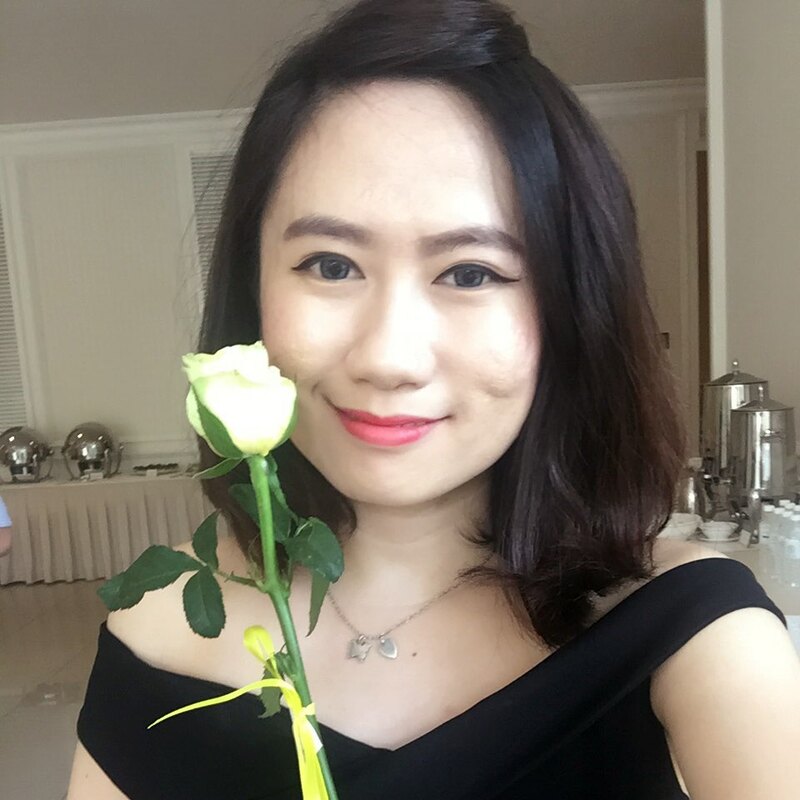 I can feel the change on skin after one week of trial. 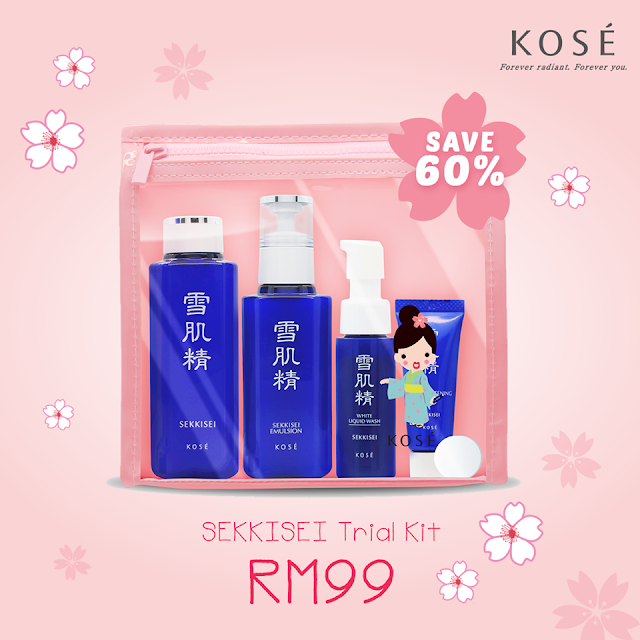 And here some great news, now you can get your KOSÉ trial kit with the price of RM99 only!! So what are you waiting for? Get to the nearest KOSÉ counter ASAP! !